I’ve been a writer and editor for over 15 years now. Through the years, I’ve learned from some crackerjack editors, and serious grammar queens, so I think I have a pretty good handle on structure, punctuation and such. 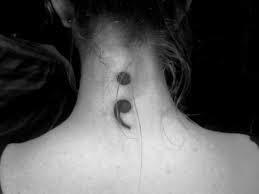 However, there is one little mark that remains troublesome: the semicolon. The cute lil’ guy can mean so many things! It can mean “but,” it can indicate a list, it can almost replace “for example.” One thing all its meanings seem to hold in common, though, is a continuation. Project Semicolon opens a much-needed dialogue for a community that needs support and affirmation, a group that has survived, healed and even those that still struggle. Creating this platform works to help them to remember that they aren’t alone. To read more about Amy Bleuel’s amazing work and to see pictures of semicolon body art from across the globe, visit Project Semicolon’s site here.